Dr Denise Lucas and Dr Alan Chan are both Yellow Fever Vaccinators under the International Health Regulations authorised by the Ministry of Health. They can help you prepare for your trip to Africa or South America where you may be at risk of catching yellow fever, or are required to show proof of vaccination as a condition of entry to a country. Please note that your yellow fever certificate is only valid from 10 days after your vaccination, so make sure to book your yellow fever appointment well before departing on your trip. To book an appointment, please ring us 09 444 5911 and ask for a yellow fever consultation (online booking not available). The cost of the consultation is $110, and the cost of the vaccine is $90. If the vaccine is contraindicated, a waiver will be issued. Each person will require a separate appointment but there maybe concession if there are 3 or more people on the same trip. Before you come for your appointment, please read the Yellow fever & vaccine information below, print and fill in the Yellow fever consent form, and bring your passport. Alternatively, you can arrive 20 minutes prior to fill out the form in our waiting room, but make sure to bring a detailed itinerary of your trip. If you are not sure whether you need a yellow fever consultation, please email us the details of your trip (destinations, itinerary and air ticket if possible) to admin@glenfieldmc.co.nz and we can let you know. Yellow fever is a serious disease caused by the yellow fever virus. It is found in certain parts of Africa and South America. It is spread through the bite of an infected mosquito and cannot be spread from person to person by direct contact. How can I prevent yellow fever? Yellow fever vaccine can prevent yellow fever and is only given at approved vaccination centres. Please discuss your itinerary with your doctor or nurse before you receive your yellow fever vaccination. After receiving the vaccine you should be given an “International Certificate of Vaccination” (yellow card) certified by the vaccination centre. This certificate becomes valid 10 days after vaccination and is valid for life. You will need this card as proof of vaccination to enter certain countries so we suggest you keep it safe with your passport. As with any mosquito borne disease precautions are important and include remaining in well screened areas, wearing clothes to cover most of the body and the use of an effective insect repellent such as DEET on skin and clothing. 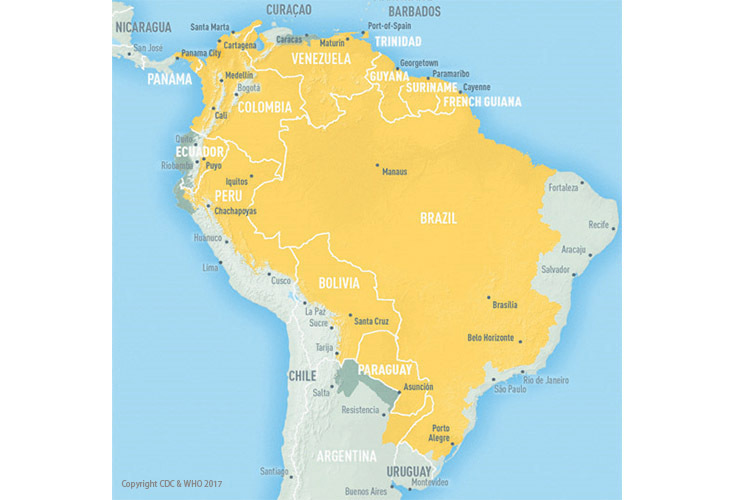 Some countries make the possession of an International Certificate of Vaccination against Yellow Fever a legal requirement for entry to that country. Note that some countries such as Australia and some South East Asia countries require a yellow fever certificate from all travellers arriving within 6 days of departing a country where there is a risk of yellow fever. For other countries it is a recommendation but not a requirement. These may change without warning so you need to remain up to date with each countries requirements. 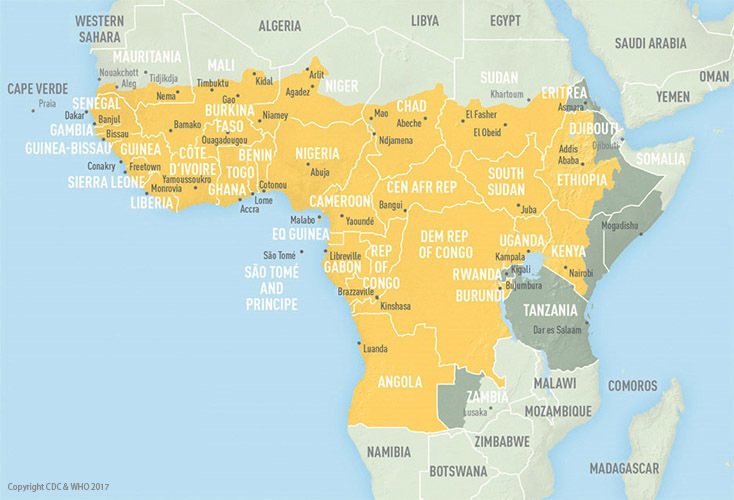 Who should get yellow fever vaccine? Who should not get yellow fever vaccine? Pregnant, breastfeeding women and infants 6 – 8 months of age should postpone travel to an area where there is a risk of yellow fever. If travel is unavoidable discuss vaccination with your doctor. If you cannot have the vaccine for medical reasons but require a yellow fever certificate for travel your doctor may give you a waiver letter if he/she considers the risk of yellow fever infection low. When planning to use a waiver letter, you should also obtain specific advice from the consulate of the countries you plan to visit, as a waiver does not guarantee entry to a country. A vaccine like any medication can potentially cause a serious reaction, although the risk of serious harm or death is extremely low. What are the possible severe problems? An allergic reaction can present as hives, facial swelling, breathing difficulties, dizziness or weakness. This would happen in the first few minute to hours. Other signs of severe reaction can include very high fever, behavioural changes or flu like symptoms that can occur 1-30 days after vaccination. If you have any concerns of a severe reaction, seek medical help as soon as possible. Copyright © 2017 - Glenfield Medical Centre. All rights reserved.